Why clamp meter / tester for grounding? The ground clamp meter / tester is an effective and time-saving tool when used correctly because the user does not have to disconnect the ground system to make a measurement or place probes in the ground. The clamp method requires a complete electrical circuit to measure. The operator has no probes and therefore cannot set up the desired test circuit. The operator must be certain that earth is included in the return loop. The clamp tester measures the complete resistance of the path (loop) that the signal is taking. All elements of the loop are measured in series. The method assumes that only the resistance of the ground electrode under test contributes significantly. Based on the math behind the method (to be reviewed below), the more returns, the smaller the contribution of extraneous elements to the reading and, therefore, the greater the accuracy. The major advantage of the clamp method is that it is quick and easy. The ground electrode does not have to be disconnected from the system to take the measurement and no probes need to be driven and no cables connected. In addition, it includes the bonding and overall connection resistance. 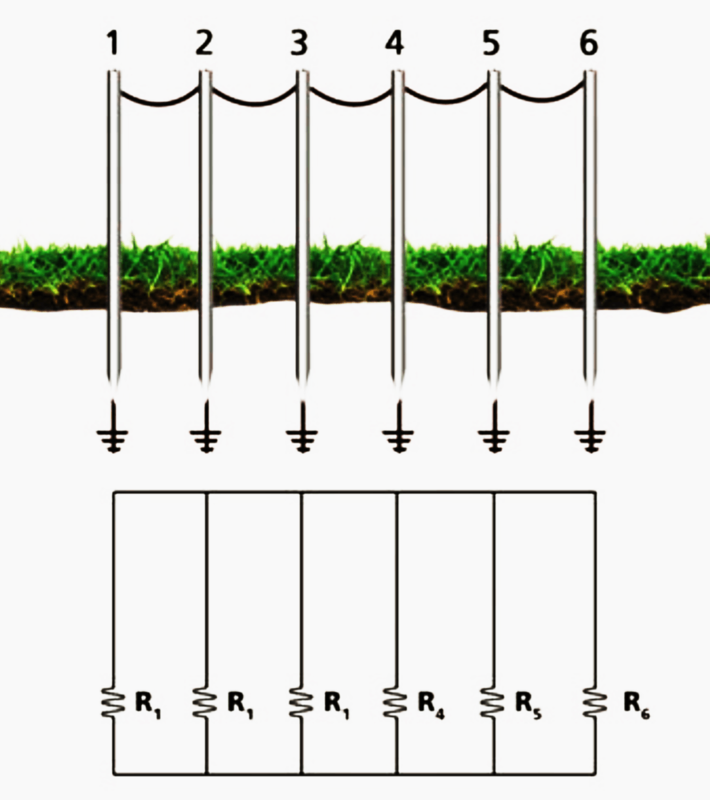 Good grounding must be complemented by “bonding”, having a continuous low-impedance path to ground. Fall of potential measures only the ground electrode, not the bonding (leads must be shifted to make a bonding test). 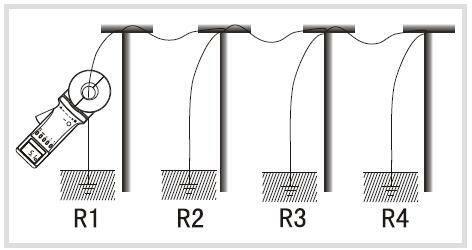 Because the clamp uses the grounding conductor as part of the return, an “open” or high resistance bond will show up in the reading. 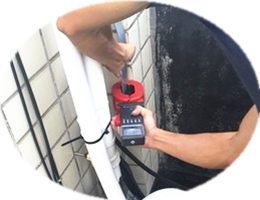 The clamp ground tester also allows the operator to measure the leakage current flowing through the system. If an electrode has to be disconnected, the instrument will show whether current is flowing to indicate whether it is safe to proceed. Unfortunately, the clamp ground tester is often misused in applications where it will not give an effective reading. The clamp method is effective only in situations where there are multiple grounds in parallel. It cannot be used on isolated grounds as there is no return path. 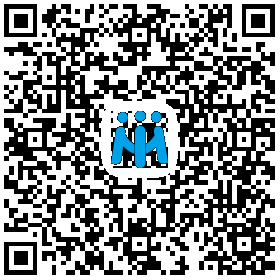 Therefore, it cannot be used for installation checks or commissioning new sites. It also cannot be used if an alternate lower resistance return exists not involving the soil (such as with cell towers). Unlike with fall of potential testing, there is no way of proofing the result, meaning the results must be taken on “faith.” The clamp ground tester does fill a role as one tool that the technician could have in his “bag”, but not the only tool. Understanding how and why the clamp method works helps in understanding where it will and will not operate, and how to optimize its use. As mentioned, the clamp test method is based on Ohm’s Law (R = V/I). Understanding Ohm’s law and how it applies to series and parallel circuits is the first step to understanding how and why a clamp ground tester works. The head of a clamp ground tester includes two cores (see figure 5). One core induces a test current and the other measures how much was induced. 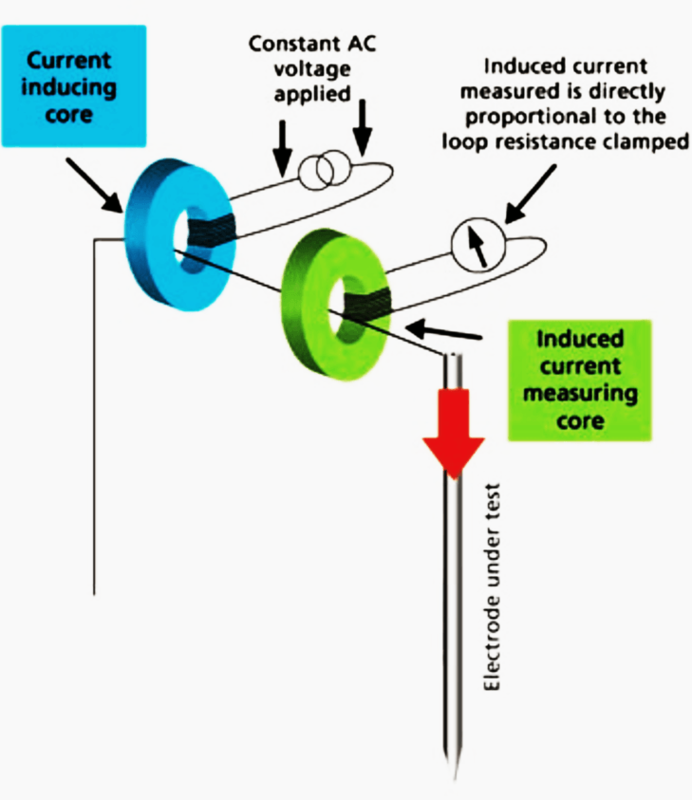 The input or primary voltage of the test current inducing core is kept constant, so the current actually induced into the test circuit is directly proportional to the loop resistance. The important thing to remember with clamp testing is that clamp ground testers effectively make loop resistance measurements. Clamp measurements are loop measurements. 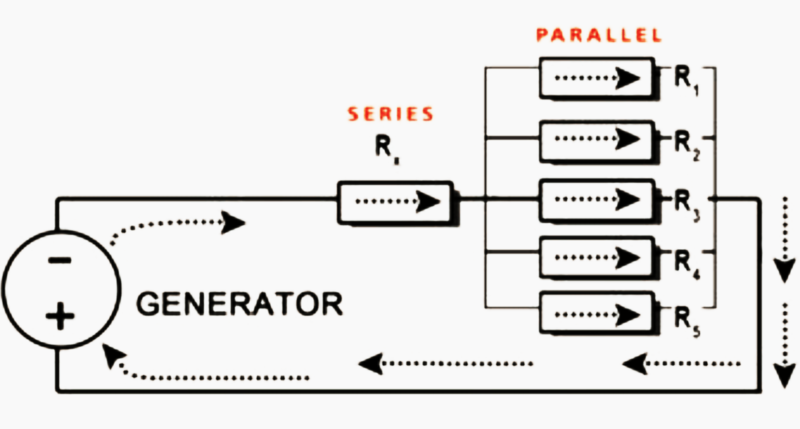 For the clamp method to work there must be a series- parallel resistance path (and the lower the better). The more electrodes or ground paths in the system the nearer the measurement gets to the actual electrode under test’s true resistance. The following figure shows a pole ground configuration, one of the most effective applications of the clamp ground tester. The more ground electrodes in parallel, the smaller the impact of the resistance of the electrodes not being tested and the closer the loop resistance is to the resistance of the electrode being tested. If the electrode being measured has a high resistance, the test will indicate that there is a problem. NOTE // Please note that the measured resistance will always be higher than the actual resistance of the ground electrode being tested. Any error present is on the side of safety, as resistance guidelines are for maximum ground resistance. This means that if the measured resistance is below target level for the ground electrode, the operator can be assured that actual resistance will also be below the target. In summary, remember that a clamp ground tester measurement is a measurement of the resistance of the entire loop. There must be a loop resistance to measure. If there isn’t a loop to measure the operator can create one with a temporary jumper lead. The greater the number of parallel paths, the closer the measured value will be to the actual earth resistance of the electrode under test. The clamp ground tester can easily indicate a poor electrode whether there are a few parallel paths in series with the measured value, or many parallel paths present. Remember that the earth path must be in the circuit to measure ground resistance. This caveat sounds obvious, but if you have metal structures involved there may be a connection through that, rather than the earth mass.